B3 Living appointed Campbell & Kennedy (C&K) to install solar PV to 77 domestic properties and 5 commercial buildings. B3 Living felt that they were paying an excessive amount for energy due to the 24/7 use of lighting, heating and appliances, so were looking for ways to reduce this overhead. It was decided that solar PV installation would be the way forward to reduce costs, as well as lower their carbon footprint and fight fuel poverty by benefiting their residents with a reduction in their electricity costs. In addition, the client could make a return on investment with the Government Feed in Tariff scheme. C&K managed the whole process from start to finish. The job began with a full site survey and the systems were designed to spec to ensure a successful installation. 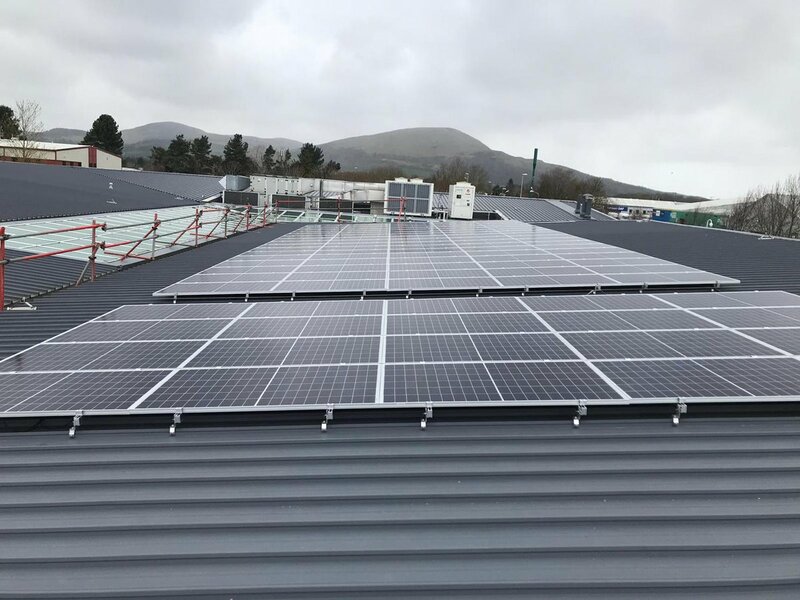 C&K then installed numerous different solar PV system sizes from 20kwp to 50kwp on both the domestic and commercial properties. C&K liaised with tenants and other stakeholders to keep them informed throughout the process and to ensure minimum disruption was caused. In addition, C&K solved the problem of ensuring that not only residents on the top floors would gain benefits from solar PV. By dividing the installation into two separate smaller panels, energy produced from the solar panels could then feed directly into both the bottom and top flats. The project was a huge success. Campbell & Kennedy successfully completed the installations on-budget and on-time. The HAs can now enjoy a reduction in their electricity costs, income generation from the Feed in Tariff and set a good example by reducing their carbon footprint in the process.